The 4th of July is right around the corner and I’m adding some patriotic touches to my home decor! 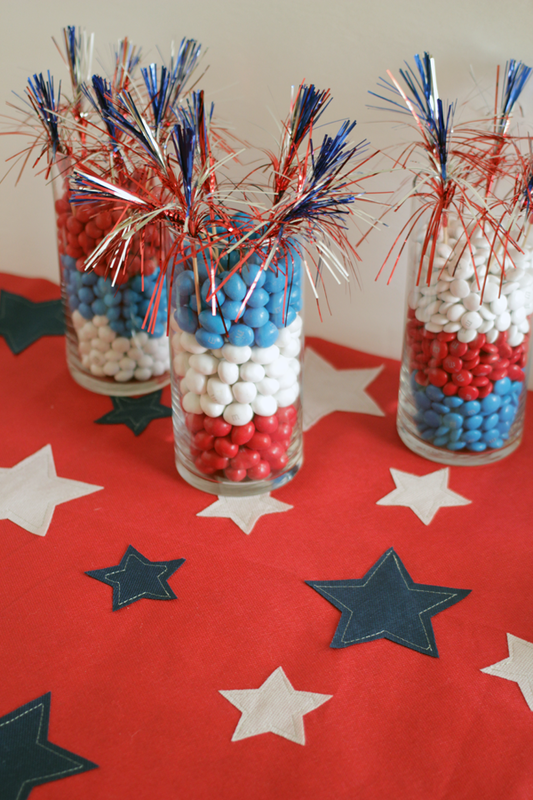 Do you decorate for the 4th? 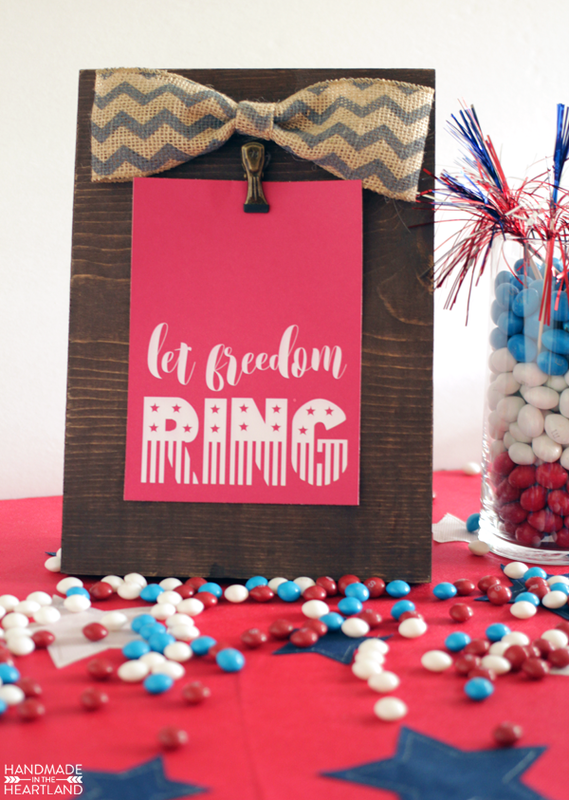 I made these fun 4th of July prints for you to download for free and hang in your home. 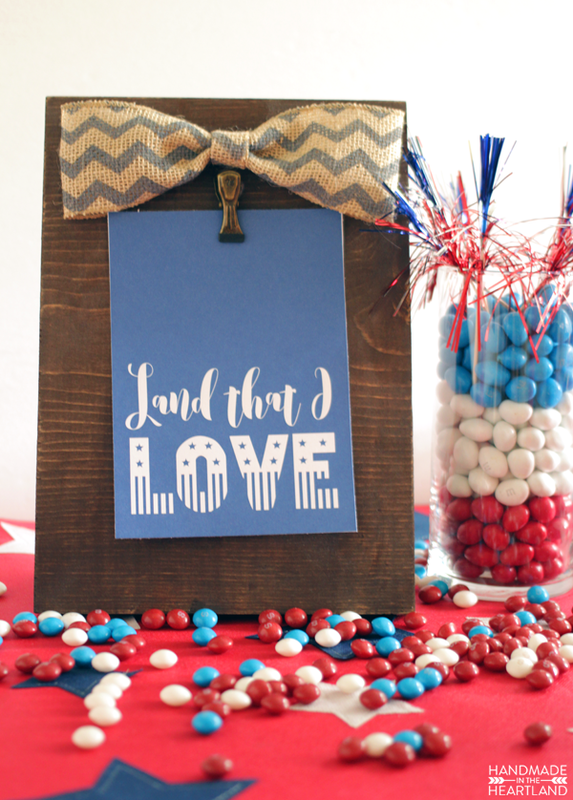 I love red, white, and blue and I really want to add a lot more fourth of July decor to my house. I also like that you can leave patriotic decor up all summer long. I’m hoping to make some wood stars and possibly a pillow or two in the next few weeks, I’ll be sure to post them when I’m done. I made these two 5″x7″ prints for you to download and print for free. Use them to decorate your mantel or add to a styled shelf. You can download the blue “Land that I Love” HERE and the red “Let Freedom Ring” HERE. I also made two fun projects that I’m sharing over at Fairfield World- I’m one of their Master Makers and love to create fun projects using their products. 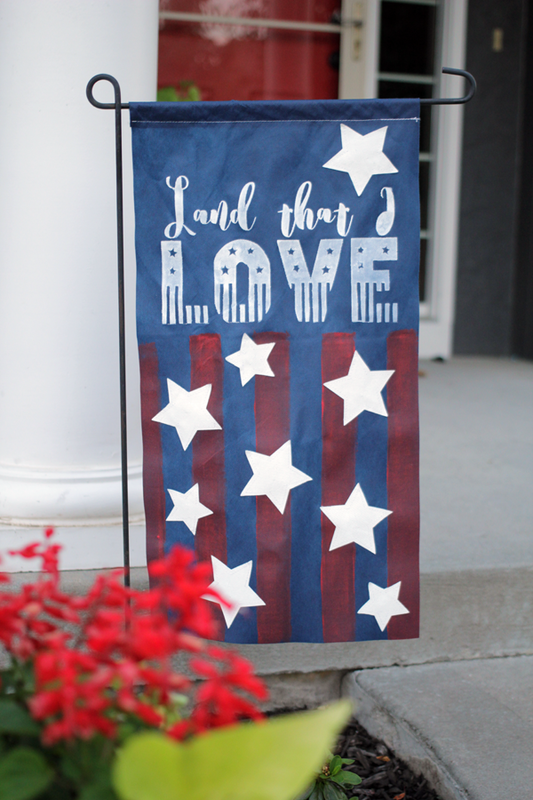 This Patriotic Garden Flag uses a material called Oly-Fun which is perfect for outdoor crafts. I love the way the painted words turned out! 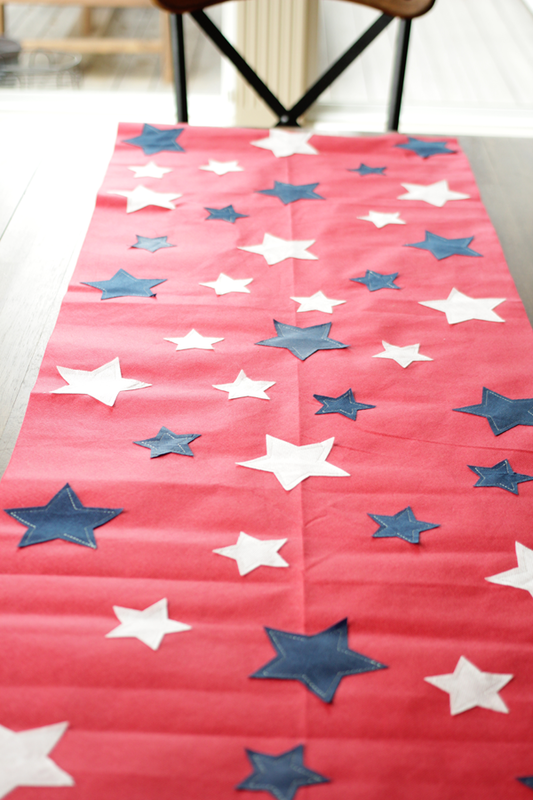 I also used Oly-Fun to make a red, white, and blue table runner. You may have noticed it in my Skittles cream soda post- It’s super easy to make and adds great color to your table for the holiday! Both these projects are in the Fairfield World gallery with step-by-step instructions on how to make them. 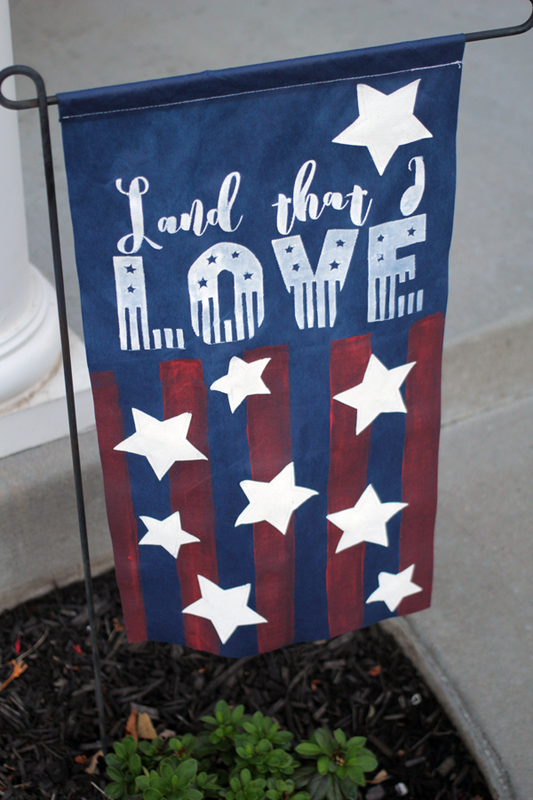 If you use these patriotic printables or make your own version of the garden flag or table runner please share it with me! It makes me so happy to see what you do with these ideas! Leave me a comment or tag me on Instagram (@handmadeintheheartland) or Facebook! 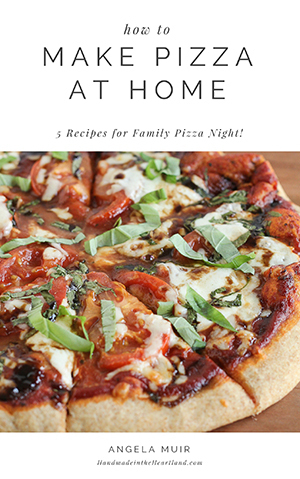 It thrills me to see you creating things from the blog!